To pick the best chemistry style is not an easy task. If you need help to choose the right style for one of your players in FIFA 19, keep reading. 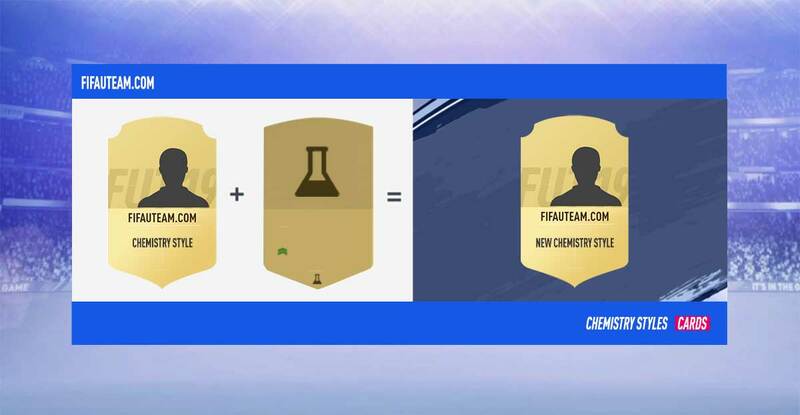 We will help you find the best best chemistry style for your FUT 19 players. FIFA 19 features 22 chemistry styles, besides the basic ones. The default style of every goalkeeper. It gives the same boost to all attributes. It is the right style when you are happy with the way how stats are distributed. Good style for who usually pass back to the goalkeeper or to start counter attacks. Should only be applied to goalkeepers with specific needs. Good for keepers with a strong control of their own box, but not much outside it. Our favourite goalkeeper style. It improves 3 of the most important attributes. The default style of every player. It gives the same boost to all attributes. It is the right style when you are happy with the way how stats are distributed. It’s a welcome boost to quick defenders and agile CDMs who have better-than-average pacing. Decent style to be applied on full-backs who like to defend and also attack. Good style for defenders and defensive midfielders who usually try to score. This style is a lock for narrow formations and systems that require backs to be more uptempo upfield. One of our favourite styles for centre-backs. It gives a boost of the three most important attributes: pace, defending and physicallity. This style is utilised best for quick midfielders and wingers that are primarily used to cut inside and create chances for STs. This style is great for agile wingers. However, it is only truly beneficial if it fits your offensive schemes. This style is best used in central defensive midfielders or midfielders with special defensive needs. This style is great for players who loves to build-up the game, but it can also be applied on wingers. This chemistry style is suitable for offensive-minded CAMs, CMs or sneaky wides. Decent style for who speedy forwards with average ball skills. This style is perfect to turn almost everyone into a ST, since it boosts the two most important attributes for a player responsible to score. Deadeye is ideal for strong CFs and attacking CAMs thanks to upticks in Finishing, Positioning, and Shot Power. The less popular attacking chemistry style is usually applied to fast forwards. One os most-used styles in previous years. It boosts the three most important attributes in a striker. This style boost pace and shooting, the two attributes the community most love. Good style for creative players who need more pace. It is one of the most expensive styles because it can turn a slow defender into a good option. Where to look when choosing a chemistry style? This is probably the most overlooked factor when choosing the right chemistry style to apply to the players. Teams with low budgets should pay attention to this point because the prices of these cards may range between 150 coins and 5,000 coins. You never should quit buying the player you want just to be able to apply the chemistry styles to your players. Look at these cards as an adjustment. It is also important to note that a more expensive chemistry style doesn’t mean that it is a better style. Hunter, and Shadow are the most expensive cards. However, the Basic style is many times the best choice. The position is an important factor when choosing a chemistry style. 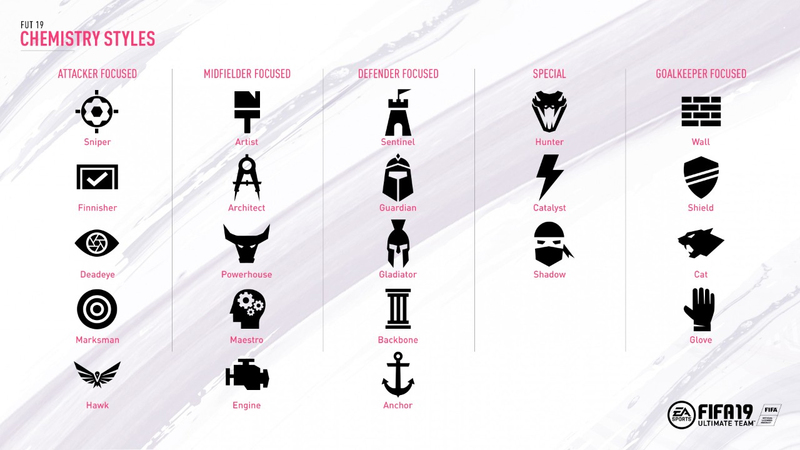 While not mandatory, most of the time defensive styles are applied to defenders (Sentinel, Guardian, Gladiator, Backbone and Anchor), attacking styles are applied to forwards (Sniper, Deadeye, Hawk, Marksman and Finisher) and the other styles to the midfielders (Artist, Architect, Powerhouse, Maestro e Engine). The five goalkeepers styles may only be applied to these players. Generally speaking, it is a good practice to apply chemistry styles according to the player’s position, if it is in line with the other factors. The formation has an important role when choosing a chemistry style. Players which play in the same position but in different formations may have different needs. Let’s take the example of the centre backs. If they play in a 4xx formation, they should be fast. However, to the central CB of a 5xx formation, the defending and the heading stats are much more important. When choosing a chemistry style, you should carefully analyse the roles of each player in the team. No one plays FIFA in the same way. There are better players and worse players. There are players that like to use the wings to attack and there are players that like to do it by the middle. There are players that prefer to play in counter attacks and there are players that prefer to keep the ball. Not all of these preferences are reflected in the formations we choose. Ie, two people with the same formations and the same players can make use of them in a different manner. 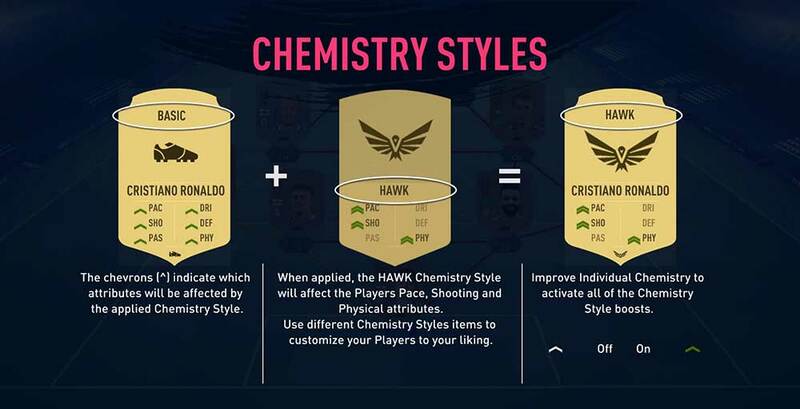 When choosing a FUT 19 chemistry style, you should carefully analyse the roles of each player according to your play style. Another factor that should not be overlooked is the environment surrounding the player who we want to apply a style. That is, the teammates and the needs of the squad. If for example, you are playing in a formation with three CMs and two of them have high defensive attributes, it will be reasonable not to improve this attribute in the third CM and give preference to others that can be assumed as added value for the team. There are no two players alike. So, it is impossible to apply a chemistry style without knowing the players’ attributes and work rates. One of the most common questions has to do with the approach that should be done: it is better to boost the lower stats in order to get a more balanced player or it is better to boost the higher stats to make the player even better than their opponents? The answer is not easy. In a general way, players tend to follow the second option because most of the times the higher attributes are also the most important ones according to the player’s position. For example: Messi has a low defending stat because he doesn’t need it to play well in his position. It is natural that players try to improve his attacking attributes. But sometimes it may be different. When a player plays in a position and in a formation in which the importance of the various attributes is not so uneven, it may be better to try to balance the player. Let’s look at the example of Harry Kane. He is a great striker but there are many people that don’t like to play with him because his pace is poor. In these cases, it makes all the sense to apply a style to improve his pace instead of his shooting and physical that already are incredibly good. To choose a chemistry style according to the players’ attributes is something very personal. It depends on who is choosing. We are pretty sure that, even after all the explanations, there are many people that still need help to choose the right chemistry style to their players. If it is your case, don’t worry. We will help you. We made our suggestions only according to the positioning, because price is not something very important to most of the players, because it is impossible to show the right style for every players and because the play style is something very personal. Don’t forget that our suggestions are only suggestions. You can have a different opinion. In our opinion, the importance of the goalkeeper’s attributes follow this order: reflexes, diving, handling, positioning, speed and kicking. In that way, and since there is no chemistry style card that boosts both reflexes and diving, our choice goes to ‘Glove’. It improves the diving, handling and positioning. All the other cards boost at least speed or kicking, attributes of less importance to us. That’s why we think that the ‘Basic’ card could be a good choice many times. Everyone should know that defending and heading are crucial to every CB. Some times, pace is also very important. That’s why we think that ‘Sentinel’ and ‘Anchor’ are two best cards to apply in a CB. The first one should be used on the central CBs playing in 5xx formations or in defenders with high defensive work rate and low attacking work rate. The second one should be applied to the other players. The fullbacks are defenders that can attack by the wings. They should have good defending, pace and passing stats in order to be able to do it well. The style ‘Shadow’ is the most recommended card to these players. However, if you are a crossing abuser, you may prefer applying the ‘PowerHouse’ style. It is perfect if you play with high heading stats players. It is not easy to choose which chemistry style to apply to a defensive midfielder because it depends on his role on the team and which formation you are using. One of the most common problems of the CDMs are their pace. Most of them are too slow. In that cases, the card ‘Shadow’ may be very useful. However, we still believe that ‘Backbone’ and ‘Powerhouse’ are the best cards to the players playing in this position. Also to this position, the choice of the style depends on many factors which mean that it isn’t easy to choose. To most of the players, ‘Artist’ and ‘Maestro’ styles would be perfect. Passing and dribbling are the stats with the higher bonus on this chemistry styles. If you love long shots, ‘Deadeye’ is a good card. The ‘Engine’ style is our favourite to apply in a winger, independently to play in the right side or in the left side. The mix of speed, dribbling and passing are perfect for the demands of players who play in this position, allowing them to be effective in crossing style and cutting to the area. However, depending on other factors, they could be better with the ‘Catalyst’. – and ‘Sniper’ to who apply in very fast forwards and in a play style without many crossings. Remember that our suggestions were based only in the players’ positions. 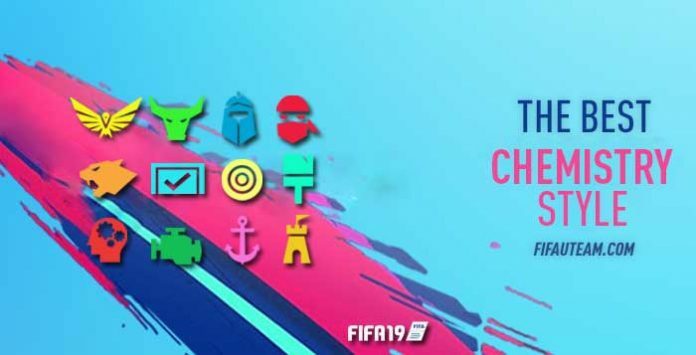 When choosing a FUT 19 chemistry style, you should look at the formation, attributes and style’s prices. Don’t expect any miracles with chemistry styles cards. In the best of chances, they only boost two of the basic attributes by three points. You should build your squad, test it and use these cards as fine-tuning. On players with low individual chemistry, it makes no sense to use chemistry style cards. I have ALL defenders and Fabinho with Shadows and the rest with Hunters, I find it makes counter attacking great. Sorry but we can’t help you because it depends on many factors, like your play style, tactics, instructions and preferences. You were right. Some styles were outdated. We have now fix them. Which Chemistry Style would you advise for David Silva (normal card)? As described in this guide, it depends on many factors. I play the 4-1-2-1-2 formation, with David Silva playing the CAM position. I’ve noticed that his shooting and pace are not that good in-game, so if I look at the Guide, it should be Hunter? Yes, you can apply him a HUntre card but you can also find a better player for that position.